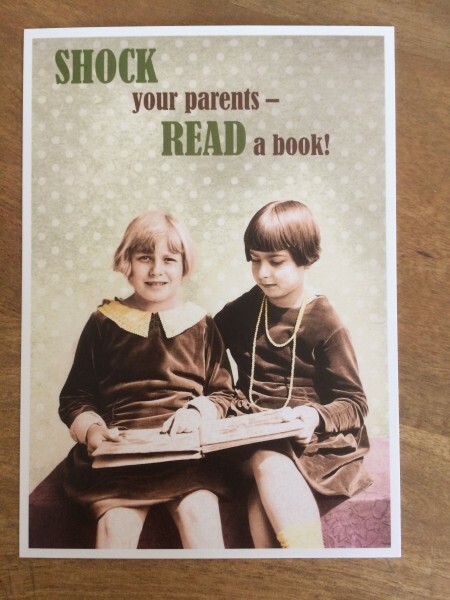 Produktinformationen "Postkarte Karte "Shock your parents - read a book!" Paloma"
Shock your parents - read a book! Weiterführende Links zu "Postkarte Karte "Shock your parents - read a book!" Paloma"
Kundenbewertungen für "Postkarte Karte "Shock your parents - read a book!" Paloma"